Happy one-year anniversary, Genre Junkies! Our “journalistic integrity” is right out the window when Sandra and Scott get to fawn over Kendare Blake, author of the Three Dark Crown series and the newest installment: Two Dark Reigns. We are so honored to have had the opportunity to speak with one of our favorite authors, and we even swapped some excellent recommendations! Since we wanted to give our listeners a chance to actually read it, look forward to our full spoiler-filled discussion of Two Dark Reigns in a few weeks! 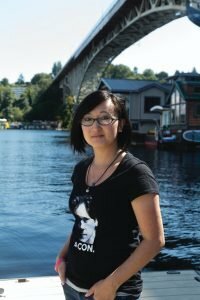 29 | Fantasy | "Sea Witch" by Sarah Henning - With Interview!